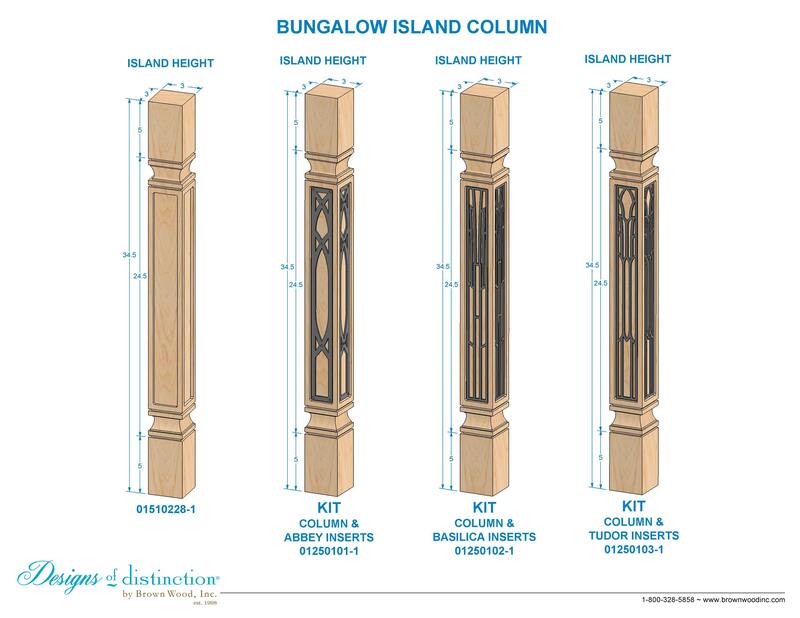 The clean lines of the Bungalow Island Column are enhanced with intricately cut Basilica Style decorative inserts, available with 3 metal colored finishes. Kit includes (4) inserts with 3M furniture grade tape applied to back for easy installation. Inserts packaged separately.